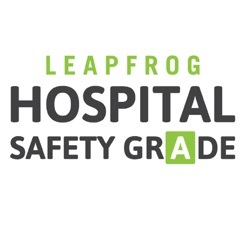 The Leapfrog Hospital Safety Grade, a national rating of how safe hospitals are for patients, is a public service provided by The Leapfrog Group, a nonprofit organization committed to driving quality, safety, and transparency in U.S. health care. Twice annually more than 2,600 hospitals across the nation are assigned a grade based on how well they prevent medical errors, injuries, accidents, and infections while caring for their patients. 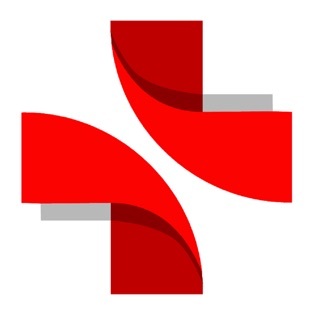 This app is an easy-to-use tool to help you find the safest care in your community. Once at a hospital, use the app to help guide a conversation with your doctor, making sure you ask questions related to safety that can protect yourself or loved ones during a hospital stay. 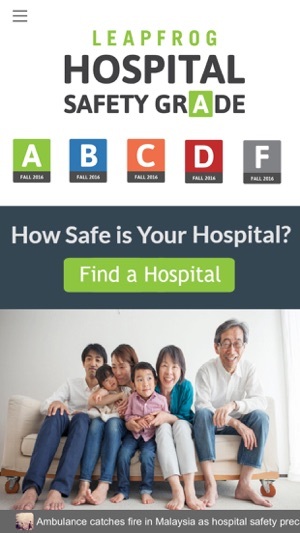 For more information about the Hospital Safety Grade, visit www.hospitalsafetygrade.org. Sorry but doesn't do very much... won't find one of the largest hospital centers in my area. Search is just dead. This new app is a precedent-breaking rip in the curtain of secrecy and opacity that has long prevented the average American from being able to substantively compare what our hospitals do, not just what they advertise. Everyone should download and use this tool, if for no other reason than to begin the process of taking more personal responsibility for choosing hospitals and doctors based on the best clinical outcomes, not who claims to have won the most awards. There will be angry criticism from some quarters that Leapfrog's statistical analysis either emphasizes some areas too much or too little, and any statistical comparison can be improved with time. But those institutions who react to a less than stellar score by attacking the app or the provider are missing the point: American healthcare will never be a safe system until every American has a reliable way of knowing who is really providing the best care and the smallest number of unnecessary injuries and deaths, and who is merely buying billboard ads proclaiming their quality. We have thousands of great hospitals, but everyone can improve, and that begins by a willingness to face less than stellar reviews and comparisons with humility and rededication to patient safety and quality outcomes. Author, "Why Hospitals Should Fly" and "Charting the Course." 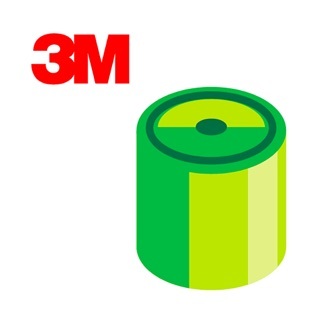 This app is the first step in revolutionizing the way we choose our healthcare provider. Leapfrog has allowed the public to quickly and easily assess the quality of the healthcare facilities around them in an easy to read format that changes the game for healthcare providers and prospective patients alike. 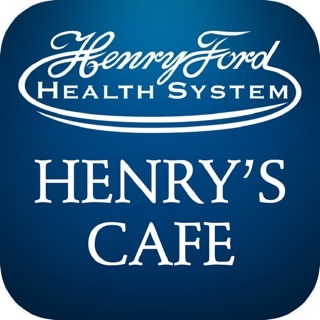 I would recommend this app to every parent, friend, and coworker when they are evaluating their medical options.